Mohamed Soltan is free! 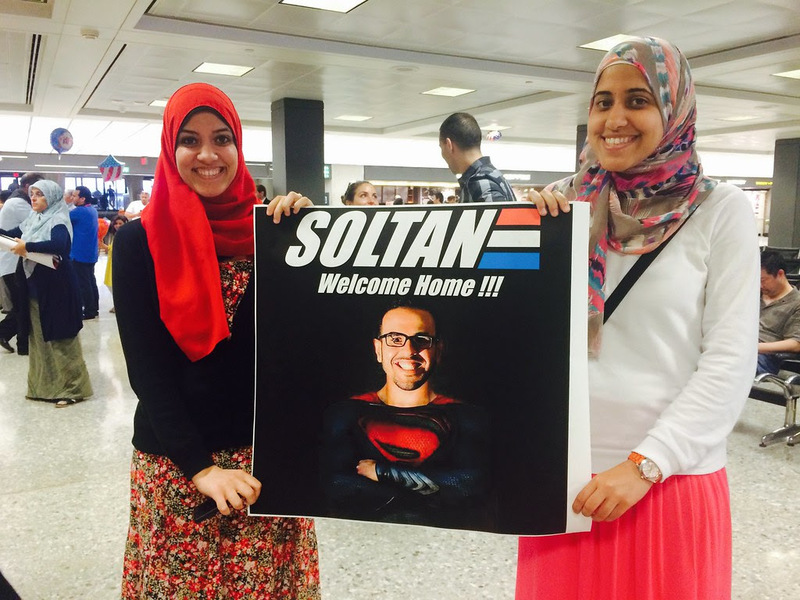 This weekend, the world experienced a human rights victory as the repressive regime of Egypt finally released 27-year old Egyptian-American Mohamed Soltan, who had been held in a military prison in Cairo for almost two years. This would not have been possible without the phone calls you made, the petitions you signed, the protests and vigils you attended, and anything else you did on behalf of Mohamed and his family. Now, let's free Saudi blogger Raif Badawi. For almost two years, human rights activists rallied around the globe to demand justice and freedom for Mohamed Soltan, who had been on hunger strike for over 400 days. His family and friends were desperate. The ordeal finally came to an end when Mohamed arrived in Washington DC on Saturday, May 30. He was greeted by an ecstatic entourage of family, friends, supporters and media. Mohamed was helped out of his wheelchair to kiss the ground when he arrived. 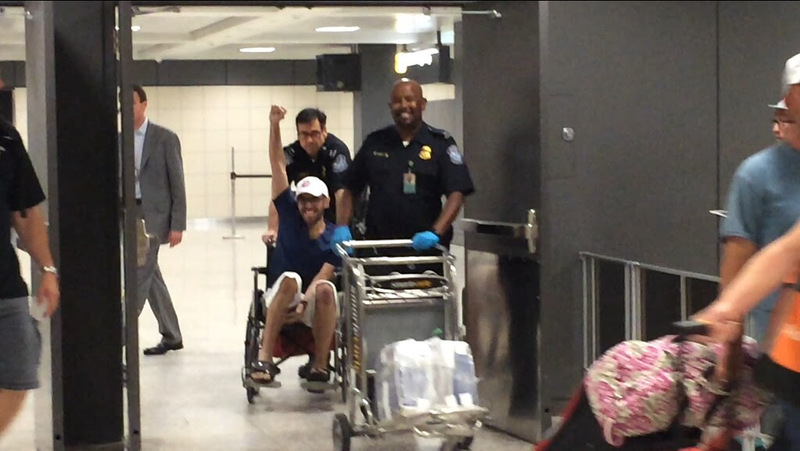 CODEPINK was there to witness and welcome Mohamed Soltan back home. Watch and share the footage of the emotional scene here! The victory for Mohamed Soltan is proof that violent regimes around the world can indeed be challenged and political prisoners can be freed if we work hard enough. That’s why we’re now taking action for Raif Badawi, a Saudi blogger who was who was sentenced in May 2014 to ten years in prison and 1,000 lashes for simply having a political blog. Can you take a moment to write to the Saudi government and ask them to rescind this inhumane sentencing? After the first set of lashings, international outcry has prevented the Saudis from abusing Raif again. But the flogging could restart at any point, and he remains in prison serving his ten-year sentence. He could also face a retrial, and if he is recharged with apostasy he could face the death penalty. Help us take a stand for Raif Badawi by signing this petition to the Saudi Arabian government. Our DC team will deliver it and let you know how it goes!